Hawai'ian officials have officially announced a call for proposals from individuals and local companies who wish to help with marine debris cleanup. The grant, which is a $50,000 contribution by NOAA and matched by another $50,000 by the state, is to fund cleanup efforts by a contractor organization to help keep Hawai'i's beaches clean of incoming debris. Hawai'i is expected to be hit with more debris as the year proceeds, and officials are hoping to get a jump start in lining up a cleanup plan. Applicants who are interested in applying should check out the Hawai'i State Department of Health Webpage, which also has a direct link to the Call for Applicants. The winning application will be paid via reimbursement on a monthly basis. The deadline for application is coming up soon- March 8th! Applicants are encouraged to incorporate public education and involvement. Past ways Hawai'ians have dealt with marine debris have been creative at the very least. In 2011, the Kaho’olawe Island Reserve Commision gave away tons of debris that were collected during that year to be used by citizens in artistic or other projects. The reason: to raise awareness of the sheer volume of debris that washes up every year. 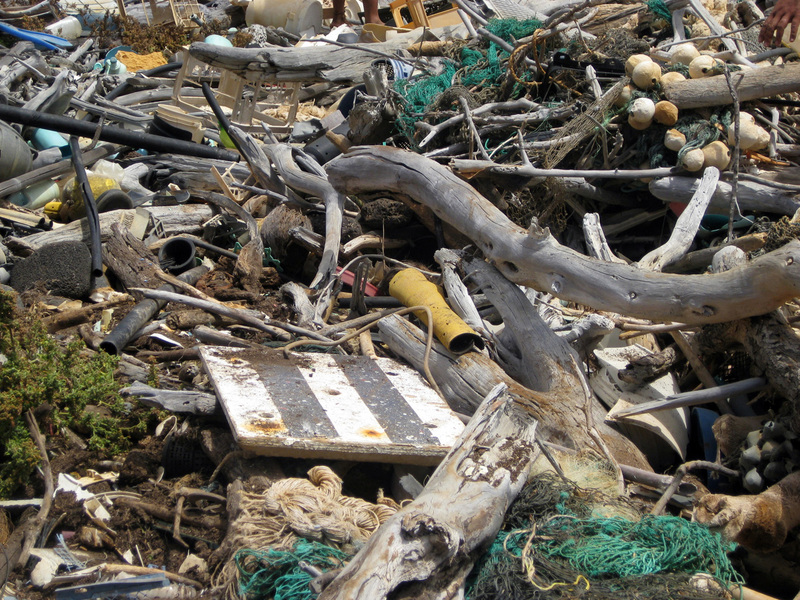 Kudos must go to Hawai'i for getting ahead of the game in terms of marine debris. It is likely that other Pacific states (Alaska, Washington, Oregon, and California) will likely be hit with an inundation of debris with little hope for organized cleanup. JTMD (Japanese tsunami marine debris) is already piling up on Alaskan beaches, with little hope for funding or organized effort in cleanup. The $50,000 provided by the federal government has already been exhausted in Oregon, where a giant 165-ton dock washed up last June. Most of the debris is small, 'uninteresting' material- such as foam, plastic, buckets, bottles, and other various flotsam. This poses the problem that the debris that does make the news- large, interesting items- are really just the tip of the iceberg. To make issues worse, the small plastics and Styrofoam are the biggest culprits for environmental issues, as they break down into small pieces and become more and more difficult to remove. What can you do? Check out my Debris Resources Page for tips on what to look out for, and where you can dispose of items like foam, plastic, and other debris that might have invasive species on it. If you are planning on visiting the beach, take a trash bag along with you to pick up things as you go- the ocean will thank you! If you would like to get more permanently involved, I will soon have a page up with volunteer resources as well, so keep an eye out!